Sixteen-year-old Jayleen Morgan is determined to be the Canadian barrel racing champion. First she must win her local Fraser Valley competition. She is not sure if she will be good enough. She respects the ability of her horse and knows she needs hard work and good coaching to make it a reality. Jayleen is ready to do whatever is necessary, but her coach doesn’t seem to have equal faith in her ability. To succeed, Jayleen knows she will need to find someone who really believes in her talent. 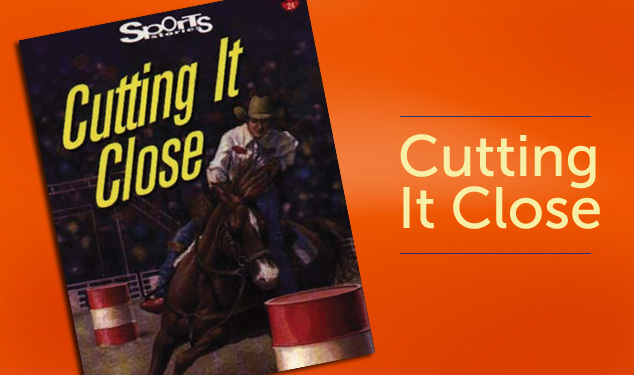 Filled with exciting descriptions of rodeo competitions, Cutting It Close tells the story of how a spirited young woman finally decides to take charge of her own destiny.